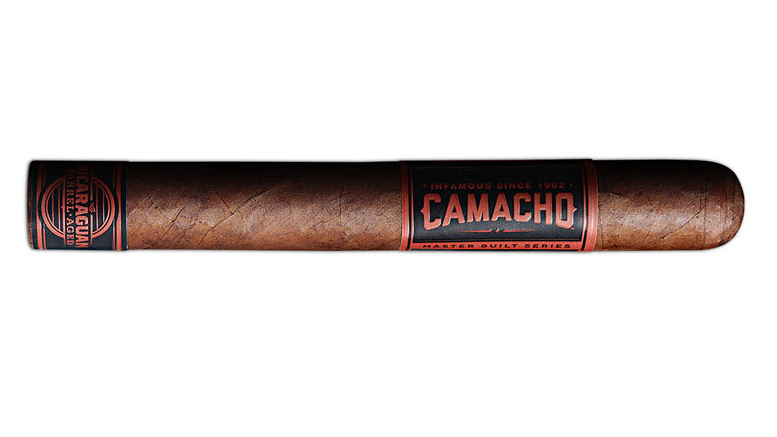 Camacho’s Master-Built release is the Camacho Nicaraguan Barrel-Aged. Having pioneered and perfected the art of aging Original Corojo tobacco in Kentucky Bourbon barrels for American Barrel-Aged, Camacho’s master builders have continued their relentless quest, venturing further south to harness the wild flavors of Nicaragua. Starting with the sweet, spicy, and oaky flavors that define tobacco from this region, Estelí-grown Corojo is aged in some of the world’s oldest Nicaraguan rum barrels. Once filled with bourbon, these well-seasoned rum barrels were hand selected for optimal humidity and add layers of complexity for an entirely unique experience. Toasted flavors combined with leather and oak are rounded out by sweet flavors and caramel notes from the aged rum. Lastly, the proprietary Powerband™ bunching process amplifies this complex combination, resulting in a peak performance flavor explosion that once again pushes the limits.